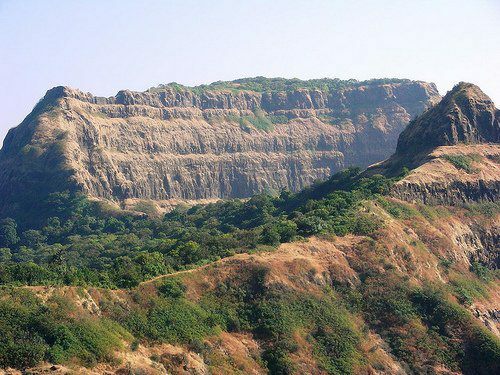 Fort Height : 3614 ft.
Vasota is also known as Vyaghragad (fortress of the Tiger). Vasota fort lies within the Koyna sanctuary (total area 423 sq km), and you need a special permit from the Forest office at Bamnoli to get in. 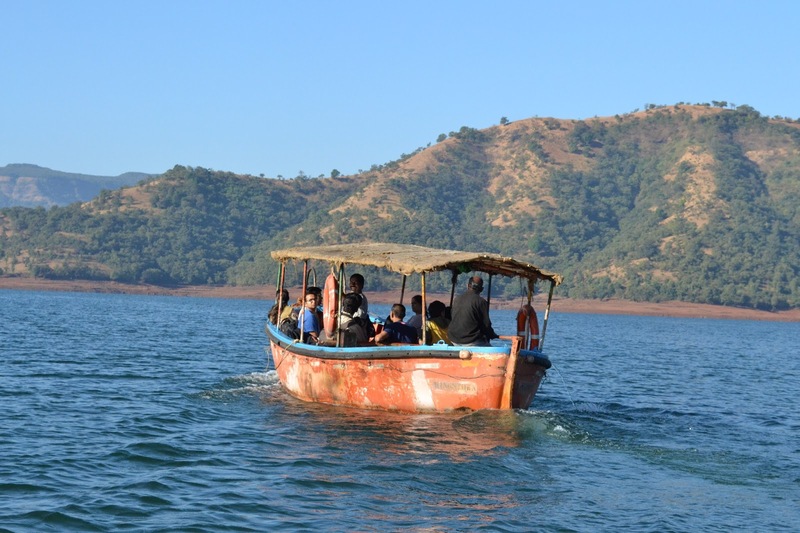 The forest at the base of Vasota can be reached only by hiring a boat from Bamnoli and crossing the Koyna lake (1.5 hours). There is no regular boat service. The boat drops you at Met-Indavli, which is a usually uninhabited forest camp, and returns to Bamnoli immediately. A 2-hour tough uphill hike through dense pristine forest takes you to the ruined fortress. There is no potable water at the top, you must carry your own or fill from a stream on the way up. This is a very isolated and remote mountaintop — no human habitation and no shelter. Do not attempt in the rainy season. You can admire the ruined remains of a palace, Shiva temple and gate to Peshwa’s prison on top. 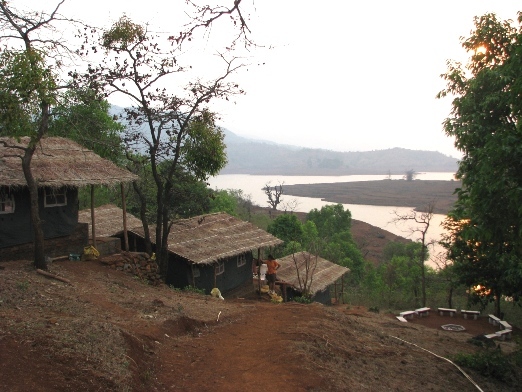 Fantastic views of Babu Kada, Old Vasota, Nageshwar Lingis, Koyna Lake, Koyna Forest…and yes, the stars above !!! 12:30 am : – Leave for Satara – Kaas Lake – Bamnoli – Camp site, by private vehicle. Reach Camp site by 06:30 am in the morning. Around 10:30 am start the trek to Vasota Fort which takes around 2 hrs to reach at top of the Fort. Around 12:30 pm Have lunch and fort exploration, moove towards Nageshwar Cave. 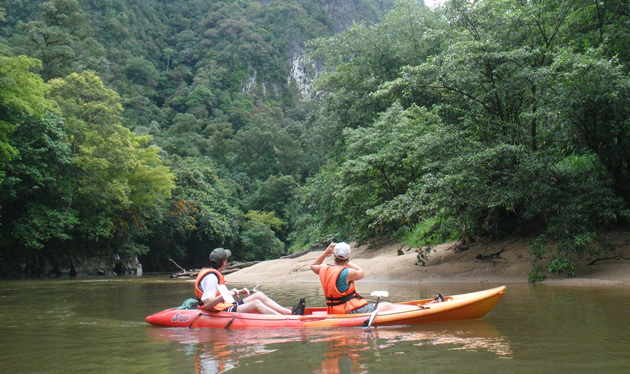 Around 03:00 pm Head back to the base of fort and reach by 05:30 pm for return boat ride. Around 06:30 pm reach at Camp site and have evening tea/snacks. 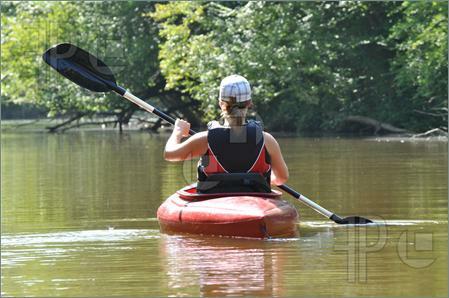 Kayaking and Swimming in the Koyna Backwaters till Lunch. Lunch will be served at 01:00 pm . 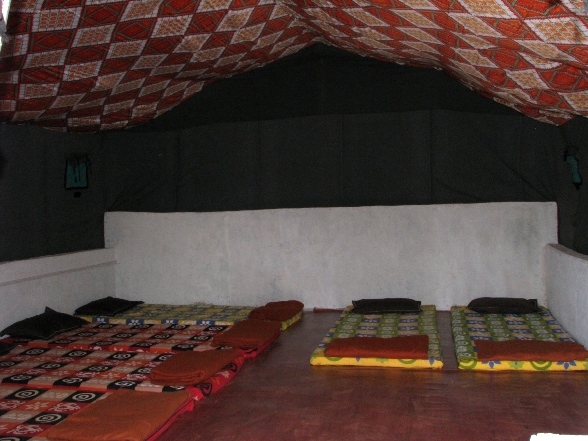 Accommodation in Tents on multiple sharing basis for 1 night. Tranportation Charges for Kolhapur to Camp sitet and Back to Kolhapur. Limited Seats are available, kindly confirm your seat by paying your contribution/fees as early as possible. Last date for registration is April 14 2013. 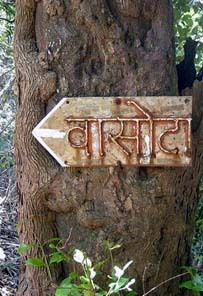 All our treks are Eco-friendly treks; kindly take care of nature around us. Smoking and Drinking alcohol during trek is strictly prohibited if anyone found doing that will be expelled from trek without refund. Kolhapur Hikers is not liable in any way whatsoever for any injury or loss (including any indirect or consequential loss) of any kind to person or property suffered by any participant whether by reason of any act or omission, deliberate or negligent, of Kolhapur Hikers in connection with the Kolhapur Hikers, including injury or loss incurred whilst participating in any activity of the Kolhapur Hikers or in any activity in which participants are invited to participate. captured.Vasota fort is attributed to the Kolhapur Shilahara Raja Bhoja II (1179-1193) of Panhala . ( Vyaghra – means tiger), owing to its difficult natural defense. natural reserve and a national treasure nest . serenity of the place leaves one spell bound.